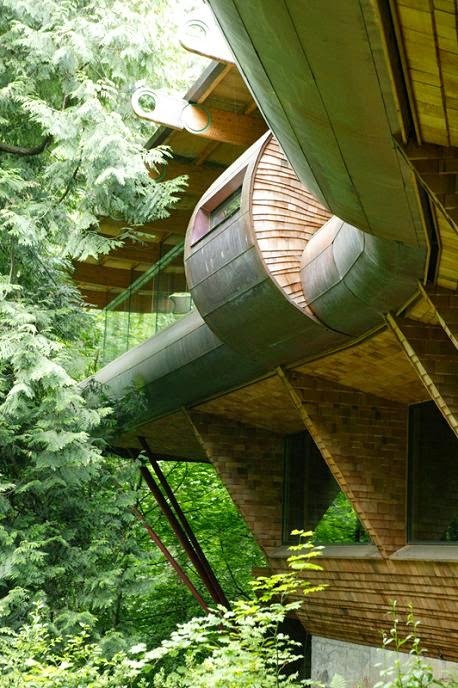 There’s the tree house your Dad built for you in the backyard, and then there’s the tree house Robert Harvey Oshatz built in the forests of Portland, Oregon. 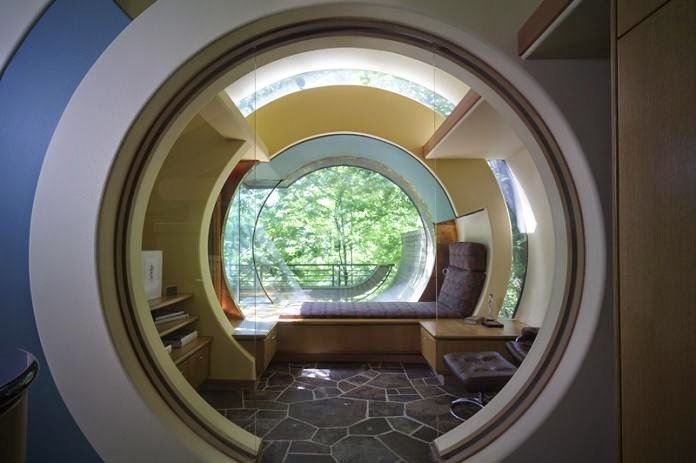 Designed in 1997 and completed in 2004, the Wilkinson Residence is in perfect harmony with its surroundings. 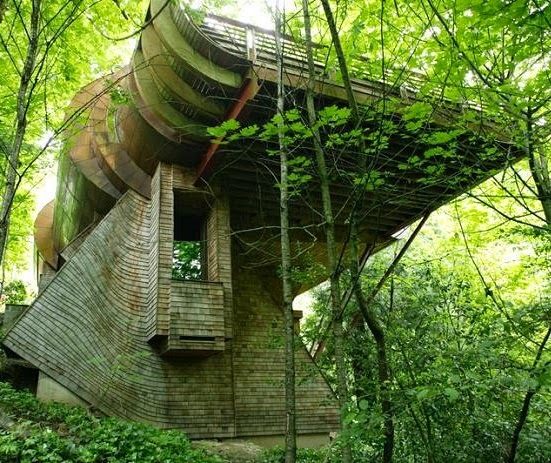 Built on a steep sloping lot, the living space resides amongst the forest canopy, making your morning coffee most enjoyable. 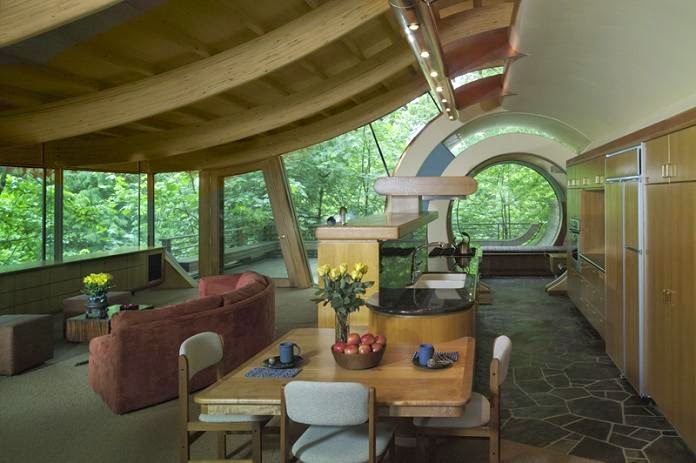 With more curves than Lombard Street, the Wilkinson Residence is a property you have to see to believe.